Can You Learn Tennis On Your Own? Are you planning to learn tennis? Tennis is such an exciting game that not only strengthens your body, but sharpens your mind and reflexes as well. So it is no surprise to me if you are planning to learn tennis. Learning the game is not difficult for a number of reasons that will be explained in the article later, but be warned that to become a master in this game requires a lot of practice, hard work and dedication. Andre Agassi, famous tennis player has said, “Nothing can substitute for just plain hard work.” In short, if you don’t have the passion or dedication to learn tennis then you will never be able to master the game like a pro! Why Learning Tennis Is Easy Today? You can always choose to hire a tennis coach or an expert to help you to learn tennis, but it will cost you. Therefore, if you want to learn it for free then the easy way is to simply book a tennis court, buy your racquet and find a good tennis buddy. If your tennis buddy is also a beginner then don’t worry. The internet is filled with a wealth of information regarding tennis. The first thing, you and your buddy should do is learn some common rules of the game. Some important things to understand are the structure of the tennis court, how the match begins and the scoring system. If you find reading boring then you can try watching free instructional videos on the internet. The best part about these videos is that it is made by tennis pros who are passionate about teaching tennis, so you won’t find the videos hard to understand. Between reading and watching the instructional videos, you will pick up important details about tennis on your own. Now that you know the basics about the game, it is time you start practicing with your tennis buddy. There is nothing like whacking a ball after a hard day at work to relieve stress. However, as a tennis coach, I do not encourage you to whack the ball because you will end up picking balls rather than rallying with your buddy. I strongly encourage that you start slow. You can start from the service line and then gradually progress to the baseline. So plan regular meetings with your tennis buddy. To enhance your skills and knowledge about the game, you should watch the pros playing and listen to the commentary. If you hear any new terms, make sure that you jot them down somewhere and look it up. At this stage, you should also be practicing different grips, serves and other shots like backhand, forehand and volley to improve your skill. A great way of understanding this shot is by observing different professional tennis players who are good at different things. I find that you can learn tennis pretty fast by visualization. For example, Novak Djokovic, currently ranked as the number one tennis player in the world is famous for his flat forehand and backhand. Caroline Wozniacki, currently ranked as the best female tennis player is admired worldwide for her two-handed backhand. Observe such players and practice as much as you can so that you can play tennis to the best of your abilities! 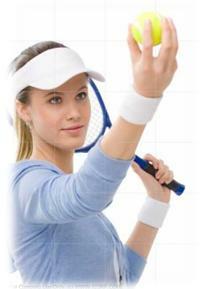 From "Can You Learn Tennis On Your Own" To "How To Play Tennis Efficiently And Become A Better Player"
Learn more information that is useful for beginners.